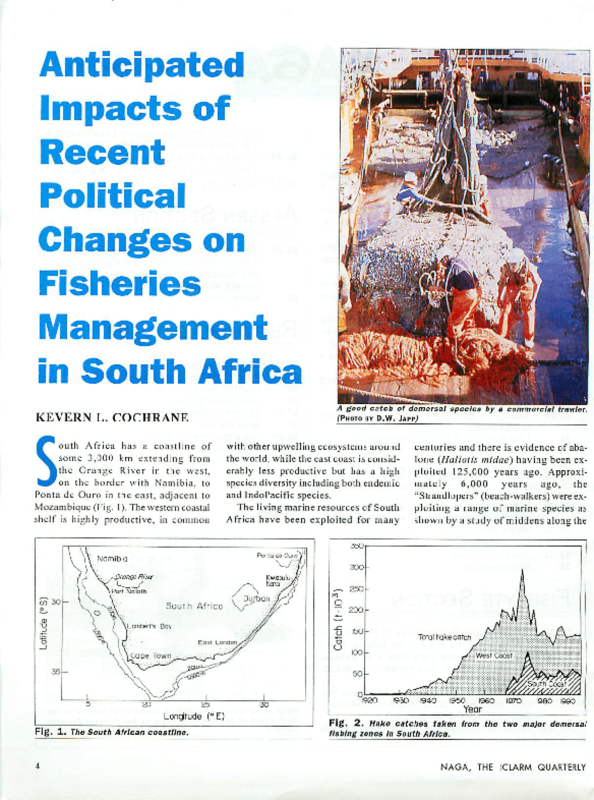 South Africa's marine resources are essentially fully exploited and in some cases over exploited. The Government of National Unity has embarked on the ambitious Reconstruction and Development Programme (RDP) to meet the basic needs, develop the country's human resources, build economy, and democratize the state and society. Although fisheries can only be expected to play a minor role in contributing to RDP, the Programme have a role to play in managing South Africa's living marine resources. The role of RDP in fisheries management is presented together with fisheries management approaches to help achieve the aims of the RDP.